Today may be the official first day of Fall, ushering in the cooler temperatures (hopefully) and vivid Fall colors so many of us love. But for retailers, it is the start of the holiday season. You’ll find Christmas ornaments, Frozen Halloween costumes and Thanksgiving centerpieces scattered throughout the stores. It may seem a little early to decorate your Christmas tree, but it’s definitely not too early to start planning your Holiday Budget. How Much Money Should You Budget for Christmas? This is the big question that faces all of us and it’s one that not enough people think about before they start spending. We have a tendency to wait until after the holidays to look at what we spent and wind up starting the new year with new debt. This is the year we’re going to break that habit. The goal is to have wonderful holiday without creating debt. It is possible with a little bit of advance planning and setting a budget. Start by figuring out FIRST how much money you can set aside for the holidays without creating debt. Don’t guess-estimate. How much money can you set aside each paycheck until December? That is your initial budget. If your budget seems too small, you can earn additional money and/or reallocate funds from other categories, such as entertainment or clothes. Do not stop funding your goals or lower your debt repayments. Have a Fall garage sale. There is less competition, which means more buyers for you. A well-written listing on Craigslist promoting some of your more highly coveted items will bring bargain hunters to your sale. Invite friends and family to join you or see if your neighbors want to turn it into a block sale. Sell items on Craigslist or eBay. Garage sales are great but higher-priced items tend to do better on Craigslist and eBay. Buyers still want a good bargain but they don’t expect to pay a $1 for designer jeans either. Find a temporary second job. It can be a formal job at retail store since many add seasonal employees for the holidays. Or it could be something less formal and more flexible, such as babysitting, tutoring, selling your homemade cookies for the holidays, consulting or freelance writing. What Should My Holiday Budget Include? The holidays roll around the same time every year, but most of the time, we aren’t financially prepared for them. We may set aside the money for gifts but forget about all the other holiday expenses, so we still end up creating debt. Plan for the following categories. This is one of the biggest expenses of the holidays. Some people like to buy gifts year-round, other’s don’t. There is no right or wrong answer as a long as you have a budget for each person on your list. Create a list (via pen and paper or excel spreadsheet) and write down every single person you plan to buy a gift for this year. Next the person, write down how much you want to spend on them. You will revisit this number later. Are you hosting festivities in your home? Or attending elsewhere but need to bring a dish to pass or a hostess gift? Will you bake or buy holiday goodies? Plan your holiday menus, including beverages, now and make reasonable estimates to how much each meal will cost. Determine what you will bring to parties and how much it will cost. Figure out what holiday treats you will buy or make. If you plan to give some as gifts, be sure to budget for containers and shipping, if applicable. Savings Tip: Now that you have a plan created and know the items you need, check your grocery store’s sales flyer every week to see if any of the items are on sale and stock up. Also keep an eye out for coupons to help lower your costs. Also don’t be afraid to ask guests to bring a dish or beverage to share. December always seems to be a busy month with holiday concerts, parties and multiple family gatherings. People tend to forget that will likely need an extra tank of gas or two in December, so plan accordingly. If you are traveling by air this holiday season, don’t forget to include any airport parking, cab fares or pet sitters you may need as well. Got overnight visitors? Many do this time of the year, which generally means a least a bump in your grocery bill and/or dining out budget. Depending on the length of stay and whether you are expected to entertain them, your entertainment budget will likely increase too. Do you need to replace any decorations this year? If so, list and price them out. Don’t forget about wrapping supplies either. We tend to have an overabundance of wrapping paper but may need tape, tissue paper and/or ribbons and bows. Many of those items can be picked up at the $1 Store too. Savings Tip: Unless something absolutely needs to be replaced now for safety reasons (tree is going to tip over and fall on someone or you accidentally threw out your child’s Christmas stocking), wait until right before Christmas or afterwards when items are heavily discounted and/or on clearance and save it for next year. Do you send out Christmas cards? We may think they are inexpensive, but the costs do add up quickly, so again plan for them. Are you getting a professional picture taken for your cards? If so, how much will it cost? Savings Tip: If you send traditional Christmas cards, you can typically find them heavily discounted right before and after Christmas to use for the following year. There are always unexpected expenses at the holidays. Someone we accidentally left off our gift list or a party invitation we didn’t expect but would like to attend. You may have increased babysitter costs in order to attend your various festivities too. If you set aside a little money for those miscellaneous expenses that pop up, you won’t panic over how to pay for them. I find whenever we clearly outline our expenditures, it is often an eye-opening experience. We generally tend to think we spend less than we do, which is another reason why we frequently experience sticker shock in January when we get our credit card bill. Now that we can see what we want to spend in each category, we can assess whether that is a reasonable number based on our personal financial situation and values. Remember, this isn’t a competition. Don’t try to play keep up. Can you reduce costs or even eliminate some expenses? This is a personal choice, but remember, your goal is to have a debt-free holiday. Organize the categories based on priority and then again within each category figure out what means the most to you. To help make next year’s holiday budget more accurate, track your spending this year. Note expenses that you didn’t plan for but realize will be ongoing holiday expenses. After the holidays, compare how you did. Now you’ll have a much better idea how much to save for next year’s budget and can start saving in January. I love giving gifts and I would be lying if I didn’t admit that I enjoy receiving them too. But I also want to make it very clear that gift-giving is not an obligation, especially when it comes to adults. I don’t want anyone to create debt buying me a gift and hope you feel the same way. Look for low-cost/no-cost ways to celebrate the holidays together. And for many adults, the best gift of all is simply spending time together with loved ones. It’s okay to let that be the gift you plan to give and want to receive this year. 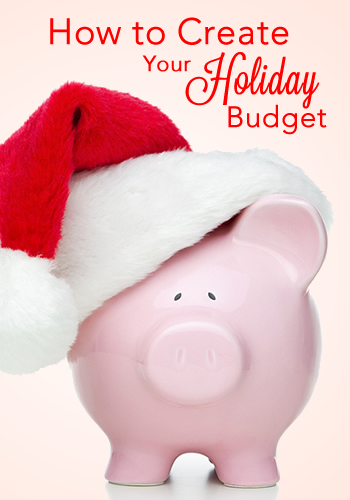 What’s your biggest holiday budget buster? What’s your best holiday savings tip? Tell me in the comment section below! The Heavy Purse Store is now open! My new downloadable Money Club Workbooks are now on sale. Each workbook provides five targeted lessons to help you raise Financially Confident Kids. Please check them out in The Heavy Purse Store. Good advice! Food is definitely the most expensive line item for us because we host my husband's family for Thanksgiving every year. We absolutely love doing it, but it's amazing how much it costs to feed everyone for 5 days or so. We start shopping for non-perishables well in advance so that we're able to comparison shop between stores and not get caught in the pre-Thanksgiving melee! Thanksgiving is one of my favorite holidays, but all the food does get expensive fast, especially when you have houseguests too. It's smart to start shopping for non-perishable in advance so you don't have to buy everything in November. Christmas is coming! Budget is a problem of everyone including me and my wife who just made a list of people for whom we'll be preparing gifts and is in charge of conceptualization of the decoration task. You know what I just emailed the link of this article to her. I'm sure this will help her a lot and make budgeting easier. Thanks for your advice Shannon. I hope my post will help your wife as she creates the holiday budget. It really does make a difference and can help you prioritize what is the most important to you, if you can't afford everything. That's a great idea, John. It makes it so much easier when you set aside some money every month. Travel is something that busts budgets for a lot of people. We forget about the incidentals and the cost of entertaining guests too. "Christmas comes the same time every year; it's never an emergency" - Dave Ramsey in a recent episode. I'm so glad you wrote a post to this effect (and glad it's in September, too). There's no reason to go into debt or be financially stressed around the holidays. This post shows what's possible if and when you create a financial plan for the holidays. It definitely early for a traditional holiday post but it's much easier to pay for the holidays when you have a budget. There is no reason to get financially stressed over the holidays and yet so many do. A little bit of advance planning can really make a huge difference. These are all great tips Shannon!! Despite the fact that the stores are already advertising the holidays, sometimes it's difficult to get our arms wrapped around it when we just began Fall, yet, the sooner you plan (like anything in life) for the holidays, the better you will weather the financial storm. Many of us are guilty of not planning ahead, especially with the holidays. We grumble about the stores pushing Christmas so early, but it's a great reminder that we need to start planning and saving for it. Your parents will treasure your gift of song and it will mean more to then than an expensive gift. I'm so glad you're enjoying playing the ukulele so much. It's always good to have a creative outlet. Great tips and now really is the time to plan for holiday spending and for next year's financial goals! These are great tips that will help us tackle the holidays without going into debt. I have a Christmas fund in my budget but I don't really spend that much anymore. My family decided that instead of getting everybody gifts and going broke, we instead pick a name out of a hat and give that one person one gift. It saves us a lot of money and we still get together and have a good time. We definitely reach a point where being able to get together is a gift in itself, especially with our busy lives. Preparation well in advance definitely makes the holidays a lot easier to deal with so thanks for sharing all these tips! We've really managed to trim the fat off our Christmas spending to just a couple of gifts for our son and we usually travel during the holidays so money gets funneled into that. In both our extended families, all the kids are pretty much near adults if not already and we all decided a few years ago to stop exchanging gifts. When we do get together for holiday dinners, I would say that more money is spent on food, but some things like meat and hams and such are bought in advance when it's cheaper and kept frozen until needed. It sounds like you have your holiday priorities and know what means the most to you. Gifts are always a big expense and there does come a point where you have to decide when to stop exchanging gifts. And yes, planning ahead for food can help save a bundle too (and spread out the cost too). Years ago we decided we would cut down the gift buying and now we do gift draws with both our extended families. Kids under 18 get a small gift, those 18 and over join the name draw with the adults. Now we only buy for 2 rather than all the adult siblings/spouses, aunts and uncles. There is a set price and nobody is supposed to exceed it (and make everything else look a little sad by comparison). If the set price is $20 and you find something great to give and it's on sale for $10 then terrific for you, but giving a $40 item you found at 50% off is not allowed. The key is the value of the gift should be $20 or whatever was agreed to. 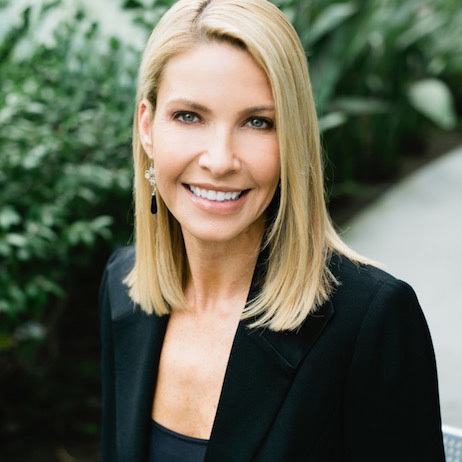 We still buy for our own kids but we also pared that down years ago and normally follow the 4 gift guideline of: something you want, something you need, something to wear and something to read. At our house Santa follows the same plan, plus a stocking full of fun things and some practical stuff. Love this, Blaze! It looks you have a great system for the holidays and clear rules on gift-giving. And I love your 4 gift guideline, a great blend of practical and fun. I mostly bake goods and send them to loved ones, but the ingredients and shipping costs can really add up! I mostly bake for family, and thankfully this year I won't have to ship too many out since some are out of the country or staying in the area for the hopefully healthy delivery of our little one. I do agree about not feeling like it's an obligation - I see that with loved ones to a too lavish extent considering I know some situations - but it falls on deaf ears at times because they love seeing the reaction of said lavish gift. To each their own, I suppose, though I do at times try to convince them otherwise (though gingerly, as personal finance is indeed personal). I'm sure everyone is anxiously and eagerly awaiting the arrival of your baby. Shipping costs add up fast and it something people tend to forget about until they are standing in line at the post office or UPS. When gifts become an obligation, it really takes the joy out of giving and/or receiving them. I fully believe gifts should be from the heart. Some have budgets that allow for lavish gifts, but I agree, gifts aren't meant to make the giver look good. For me, the travel is always the number one priority. When I see family far away, my presence is my present because I know that matters more. And what a great present, Stefanie. I'm sure your family loves to have you with them for the holidays. Surprisingly enough, the baking supplies stuff does go on sale in Nov / Dec so if you are planning to bake, make sure to catch those sales! Absolutely, Deb! You have to take advantage of the sales whenever you can. It really does make a difference. Thanks Shannon! Now I have no excuse to keep my head in the sand about Christmas after this thorough break down! I don't think you're being a scrooge at all, Kate. We tend to think we need to buy everyone a gift and that's simply not true. Being together with loved ones is definitely a gift in itself. One issue we run into is that EVERYONE in my family exchanges gifts as well as quite a few in my wife's family. Without a strict budget we'd be screwed. My wife also starts buying presents throughout the year so we don't have to buy them all at the same time. That's always tough. It's a good thing you have a budget to help you manage it. And buying things throughout the year helps too. Besides spreading out the cost a bit, you can also take advantage of sales when you see them. Great, great article! I use a spreadsheet every year to track my gift budget for every person on my list, as well as expenses for gift wrap. I can see what I budgeted and what I spent and I start shopping in September so I am done by Thanksgiving. I love that you included food and festivity hosting as part of the budget - I think that's something a lot of people forget about. Another thing that I've failed to account for in the past is stocking stuffers - probably because we didn't do them when I was a kid. We'd get all the way to just a day or two before Christmas, I'd think we were all done shopping and my wife would say, "Oh, we have to get stocking stuffers!" They're meant to be inexpensive trinkets or candy in our home, but by the time we were done getting things for everyone (including our two cats!) we ran up an unaccounted for bill of over $50. There are so many little expenses around the holidays and it always seems like I miss something too. That's why the holiday emergency fund can be a real life saver! Our stocking stuffers are meant to be small treats too, but it does add up quickly! I have a spreadsheet where I track what I bought for everyone for the past 8yrs since I started the list. This way I never repeat a gift, but most importantly I can look back at prior years for ideas. What worked for my sister 2 years ago may also work for my SIL this year. They live in different cities so they'll never know. I also use the list as a place to keep track of gift ideas I pick up through the year so when I head out to shop I have a set of good suggestions. Whatever suggestions I don't use get transferred to next year as a starting point. Kids interests and clothing sizes change from year to year, but with adults their interests and tastes aren't as likely to change. Having a premade suggestion list ready January 1st means I often start picking up items immediately after the holidays and tuck them away. Spreading out the expenses over the year helps too. The drugstore we use has a points card and every December I cash in my points and can nearly cover all the stocking stuffers for free. Drugstores carry pretty much everything you might want: candy, comic books/magazines, small toys, hair accessories, nail polish, books, picture frames, DVDs and small electronics (eg. ear buds). If you credit card has any option to redeem your spending as gift cards, order those early and give them as gifts, or use them yourself towards gifts you plan to purchase. I have $600 in cash back on a credit card that is ready for Christmas shopping. That's about how much I spent last year so I hope to stay within that budget again. Perfect! Knowing you have the money and the amount you can spend always makes it less stressful. And let's you have fun, instead of worrying about paying bills later. Our biggest holiday budget buster is definitely food. Between Thanksgiving dinner and the *entire* month of December, food takes up quite a chunk of money. I am going to try and do a better job of budgeting for it this year. People tend to focus on gifts, which is certainly one of the largest expenses, but I think food comes a close second. Multiple holiday celebrations and all the other treats we make in between can be a real budget buster. Our biggest holiday budget buster is all of the gas for traveling. We travel through a few states in order to see both sides of the family. It always costs much more than what I think it would. Gas is always so hard to predict too. And it's not consistent in every city and/or state. It's why it's good to pad the numbers a bit or have holiday emergency fund for those costs you can't control. Yes...fall is here! We had cool temps this morning here in GA...55 degrees...made for a brisk morning run. We've been saving for the holidays since the beginning of the year. So when Christmas rolls around we will be able to buy gifts with cash. I do like the idea of having a holiday E-Fund. Stuff always comes up and that would be a good way to handle it. I'm still waiting for our Fall temperatures, although 55 sounds pretty darn brisk to me! :) It definitely makes it a lot easier when you start saving at the beginning of the year. It can be a struggle to come up with the cash when you don't give yourself much time to save. And there is always things that come up unexpectedly around the holidays. And having the money to cover those expenses let's you keep your attention on the holidays, rather than worrying. Hey Shannon! Great writeup! I really like the fact that you mentioned that one should not circumvent their goals by reducing their loan repayments in order to fund their Christmas budget. It's so easy to do it, but in the end, it costs so much more. We have a small gift list and most of it focuses on the kids. In our family everyone pretty much accepts the fact that Christmas is a finacial strain and the children should be #1.